Four Robots That Are Learning To Serve You : All Tech Considered Robots are moving further from sci-fi into everyday reality. They can now assist with doing housework, giving directions and even performing surgery. They're still a few years off, but here are a few robots we may live with someday. From Star Wars' R2-D2 to The Terminator to WALL-E, robots have pervaded popular culture and ignited our imaginations. But today, machines that can do our bidding have moved from science fiction to real life. Think hands-free vacuum cleaners or iPhone's Siri or robotic arms performing surgery. At the Innorobo conference in Lyon, France, the latest in service robot technology was on display. "These are robots that can help us with our everyday tasks, which I guess is always the endgame for robots, wasn't it? To do the jobs that we didn't want to do," says BBC technology reporter Jane Wakefield. Wakefield covered Innorobo and tells weekends on All Things Considered host Don Gonyea that while many of the innovations at the conference are available now, they are largely used by industry or research institutes. "A lot of the robots on show were so expensive, they'll be a few years away before we see them in our actual homes," she says. 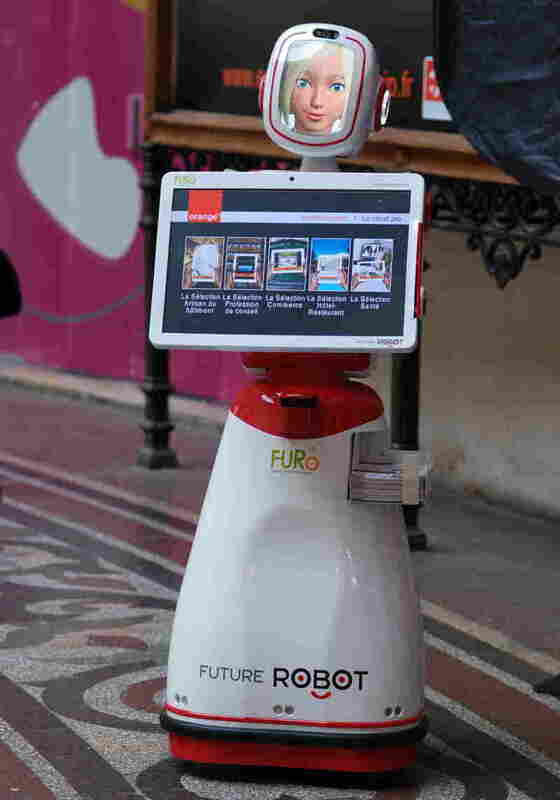 Future Robot's FURo robot acts as a host. Wakefield says she got some direction at the conference, not from guides of the human variety, but of the robotic kind. The robots have screens with faces and can move around, offering advice. "Increasingly, we're seeing those in big cities and in shopping malls and even in hospitals," she says. The Bestic is an "eating assistive device" for those who can't pick up a fork and spoon on their own. Robotics has big implications for the health industry. 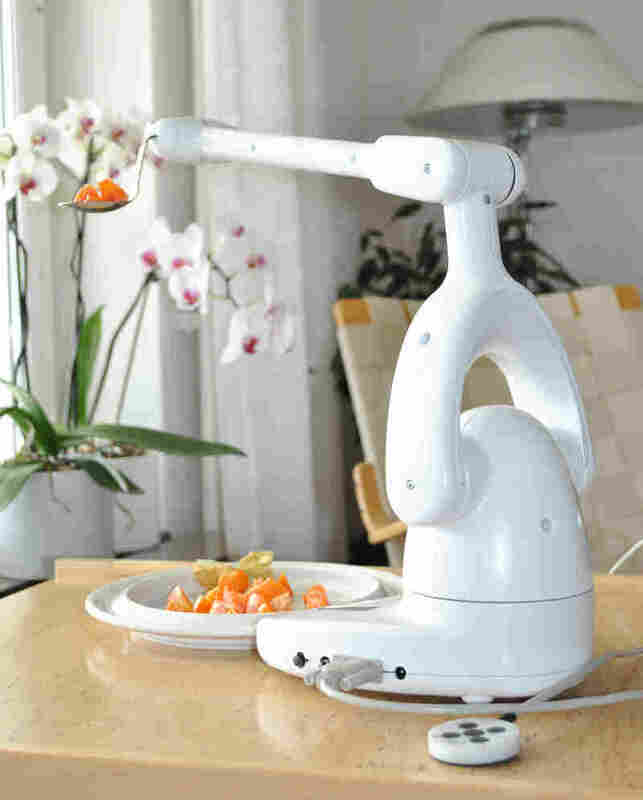 Wakefield says one robotic feeding system on display at the conference could help those who are unable to lift their own spoon or fork. The robot — more like a robot arm — "was actually developed by somebody who wasn't able to feed himself," Wakefield says. "So he came up with this portable system, which is literally just a spoon, and it moves and it picks up any food that's in a plate underlying it and puts it in people's mouths. So it has a great potential to change lives." 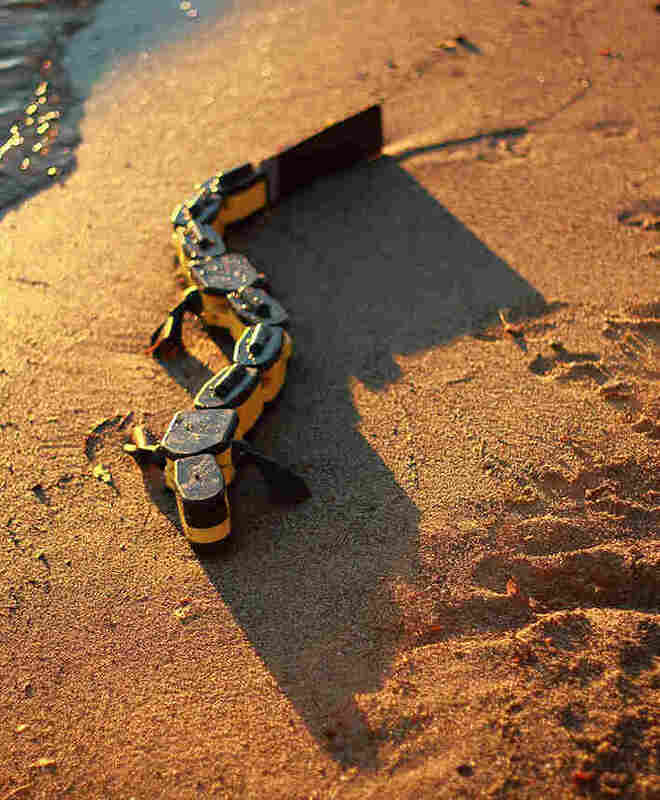 EPFL's amphibious salamander robot can both swim and walk, but the real potential is in how the robot can help us understand how spines work. Developed at the Biorobotics Lab in Lausanne, Switzerland, the robotic salamander could be a breakthrough in the study of paralysis. "This was one of the robots that didn't actually look that lifelike, but what it did do is move in a very lifelike way," Wakefield says. "This has implications, not just for creating amphibious robots ... but also being able to mimic mathematically how a neural system works. [It] has huge implications for how we deal with people with paralysis and other spinal cord issues in the future." 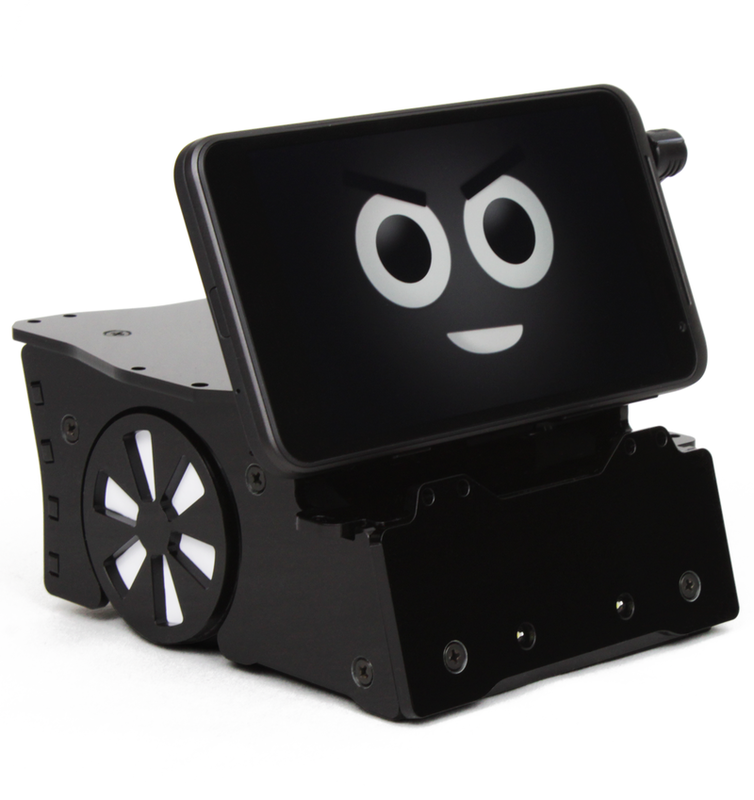 Overdrive Robotics' Smartbot uses your smartphone as a brain. Ever had trouble locating your cellphone? What if you could make it come to you? The conference featured smartphones on their own robotic trolleys. "You fit your smartphone into a little base and it's just got wheels on it, and it moves around," Wakefield says. Some of these devices include Romo, Botiful and the latest SmartBot.